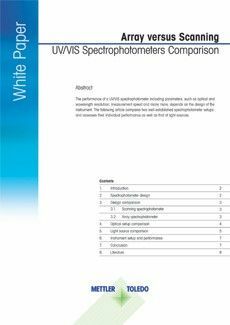 In this brochure a specific focus is put on how to perform the Karl Fischer titration analysis the correct way. 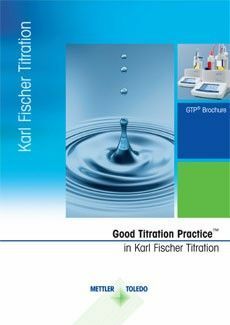 We would like to introduce this to you as part of Good Titration Practice™ (GTP) in Karl Fischer titration. 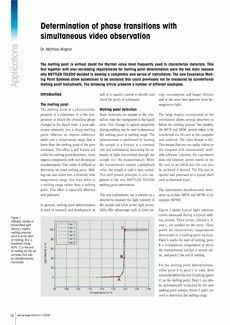 KF titration is an accurate method for determining the amount of water. This technique can also be used in moisture determination specifically for water content. 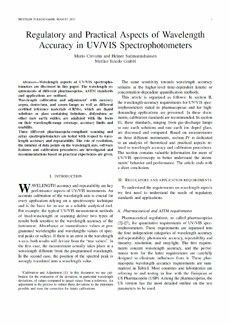 The titration can be performed volumetrically or coulometrically. In the volumetric method a Karl Fischer solution containing iodine is added until the first trace of excess iodine is present. The amount of iodine converted is determined from the burette volume of the iodine-containing Karl Fischer solution. In the coulometric procedure, the iodine participating in the reaction is generated directly in the titration cell by electrochemical oxidation of iodide until again a trace of unreacted iodine is detected. Faraday's law can be used to calculate the amount of iodine generated from the quantity of electricity required. 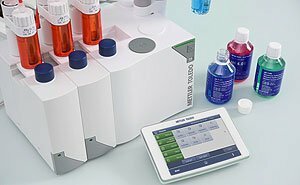 The Karl Fischer titration is a moisture determination method specific for water and is suitable for samples with a high moisture content (titrimetry) and also for those with water contents in the ppm range (coulometry). It was originally developed for nonaqueous liquids, but is also suitable for solids if these are soluble or if the water they contain can be removed by heating in a stream of gas or by extraction. 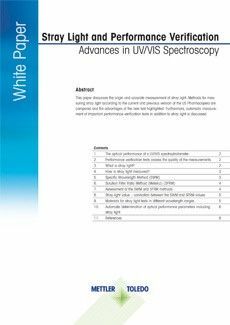 Accurate reference method, coulometry also suitable for trace analysis and water detection. The working method must be adapted to the specific sample.